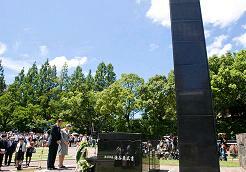 John Kerry will not offer an apology for the United States' use of the atomic bomb against Japan when he becomes the first US secretary of state to visit the Hiroshima Peace Memorial Museum tomorrow, a senior US official said. 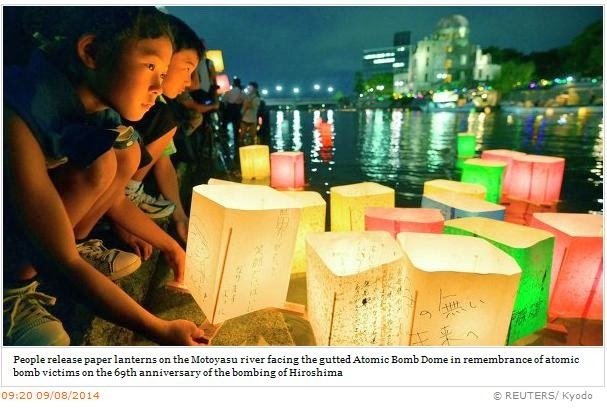 Washington’s apology to the victims of the nuclear bombings of Hiroshima and Nagasaki by the United States in 1945 is long overdue, the General Secretary of the Campaign for Nuclear Disarmament told Sputnik. Hiroshima Mayor Kazumi Matsui on Monday expressed anger over Russian President Vladimir Putin's remarks in a documentary broadcast the previous day that Moscow was ready to put its nuclear weapons on alert amid the crisis in Ukraine. Something changed forever on August 6, 1945 when, for the first time, the world witnessed the explosion of an atomic bomb. As that fateful day dawned, a B-29 American bomber named the Enola Gay took off from an island in the Pacific Ocean heading for Japan, which had prompted the US’ entry into World War II by attacking Pearl Harbour some three and a half years earlier. 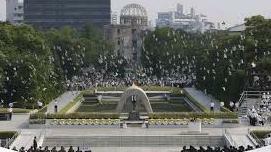 At 8:15 AM local time its crew dropped an atomic bomb, nicknamed “Little Boy” on the Japanese city of Hiroshima. The bomb caused the immediate death of 70,000 people. This figure increased to an estimated 200,000 as more victims succumbed to nuclear radiation. The explosion destroyed every building in a radius of 2,5 km; it broke windows 16 km away, while the force of the blast could be felt as far away as 60 kilometres.